We're merely hours away now from one of the pound-for-pound best boxers on the planet taking to the center of the ring for the first time in 2019. Saturday night, WBO welterweight champion Terence Crawford will defend his title against Amir Khan as "Bud" looks to extend his unbeaten streak as well as once again prove his dominance in the sport. In addition, it's the return of two rising prospects when Shakur Stevenson and Teofimo Lopez hit the ring once again. Stevenson (10-0) is coming off a pair of knockout victories in October and January while Lopez (12-0) has only seen the judges' scorecards twice in his three-year career. 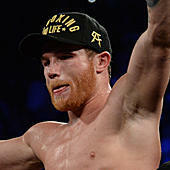 Stevenson has called out just about every big name available in the featherweight division, hoping for a top challenger in his next bout should he dispose of Christopher Diaz on Saturday night. And a pair of lightweights will kick off the action on PPV when Felix Verdejo takes on Bryan Vasquez.